Want to be notified of new releases in dgmid/appiconset-generator? 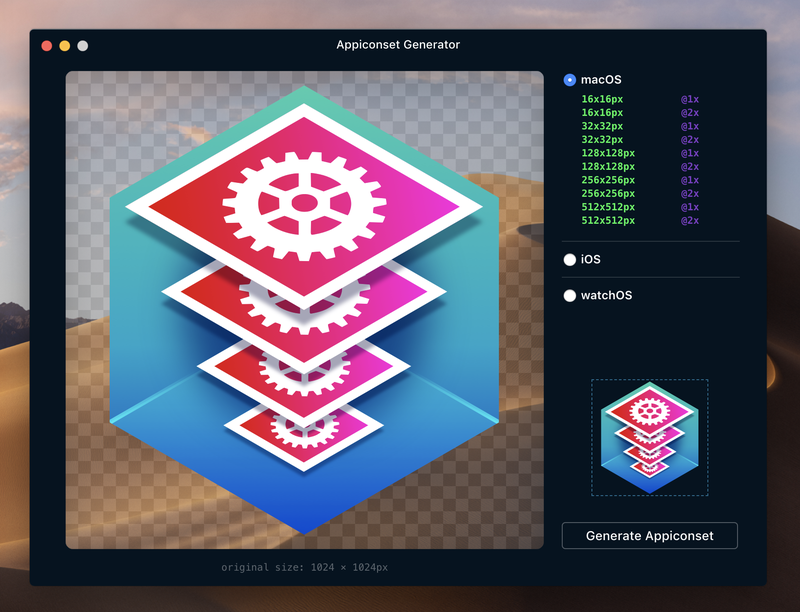 A utility app for generating Apple appiconsets for macOS iOS and watchOS from an original 1024 x 1024 design. All icon sizes and a Contents.json file are automatically generated and saved in a .appiconset folder. The packaged app will be written to build/Appiconset Generator-darwin-x64/ in the project directory. Note: packaging the app runs npm prune -production and so you will need to run npm install again before making any further modifications.